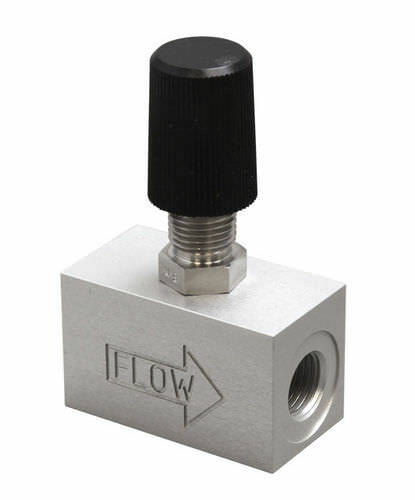 Suitable for liquids and gases with a leak-free valve and compact needle valve in aluminum housing. Two M4 female threads in the bottom of the housing for a solid fixation. 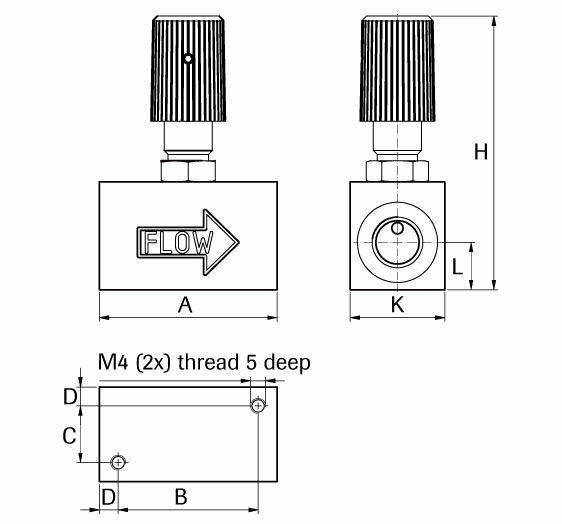 They are spring loaded, non-rising adjustment stem that has a 56-pitch thread providing a smooth non-reversible flow which is characteristic of a 15 turn resolution. The compact need valve is in an aluminum housing with a self-lubricating orifice liner assures a long life.